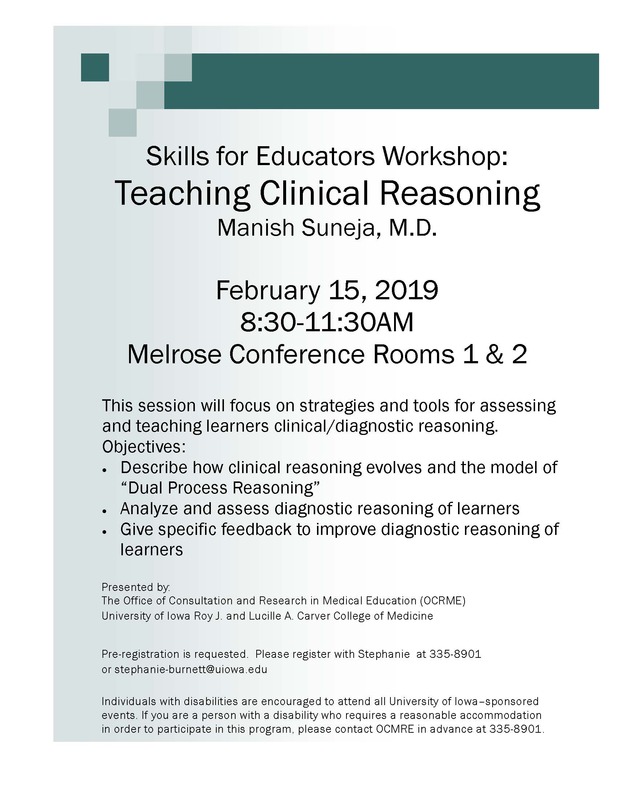 This session will focus on strategies and tools for assessing and teaching learners clinical/diagnostic reasoning. Describe how clinical reasoning evolves and the model of "Dual Process Reasoning." Analyze and assess diagnostic reasoning of learners. Give specific feedback to improve diagnostic reasoning of learners.